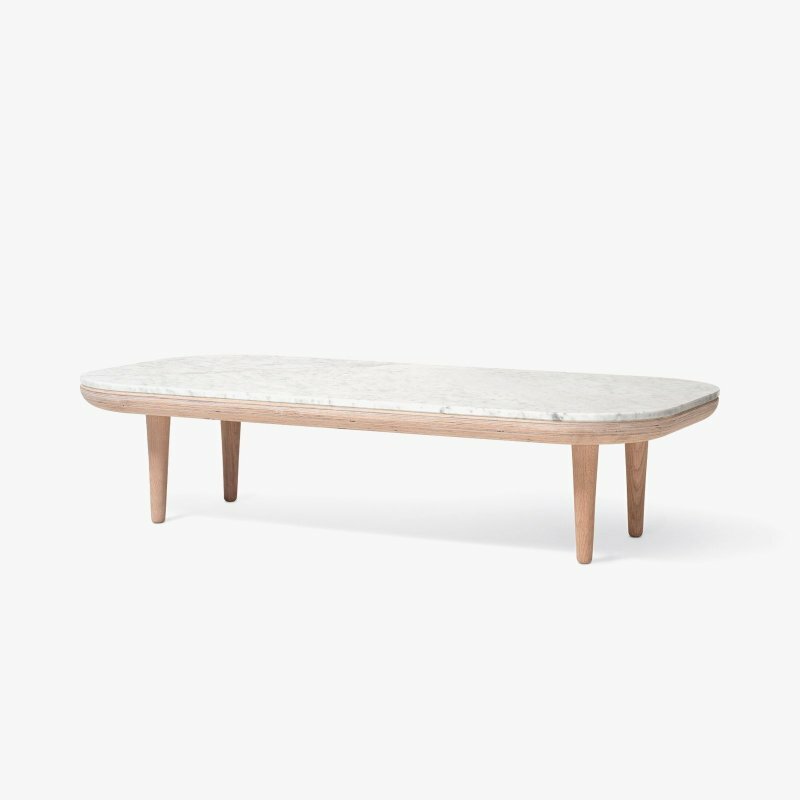 Hoof Table SW2 is a wooden coffee table with natural simplicity, designed by Samuel Wilkinson for &Tradition. The main inspiration for the Hoof table derives from the feet which are sharpened at the ends producing a striking yet functional detail. The word hoof originates from the protective part of the feet of ungulate animals. In contrast to most tables, the leg ends of Hoof are left in natural wood to avoid the paint from chipping off from being either kicked or knocked when cleaning. The foot detail is created by reversing the usual manufacturing process. Most furniture that have a painted section and a natural part are initially assembled, then masked off, and painted. Hoof stands out by being painted first and then trimmed back to reveal the natural grain. 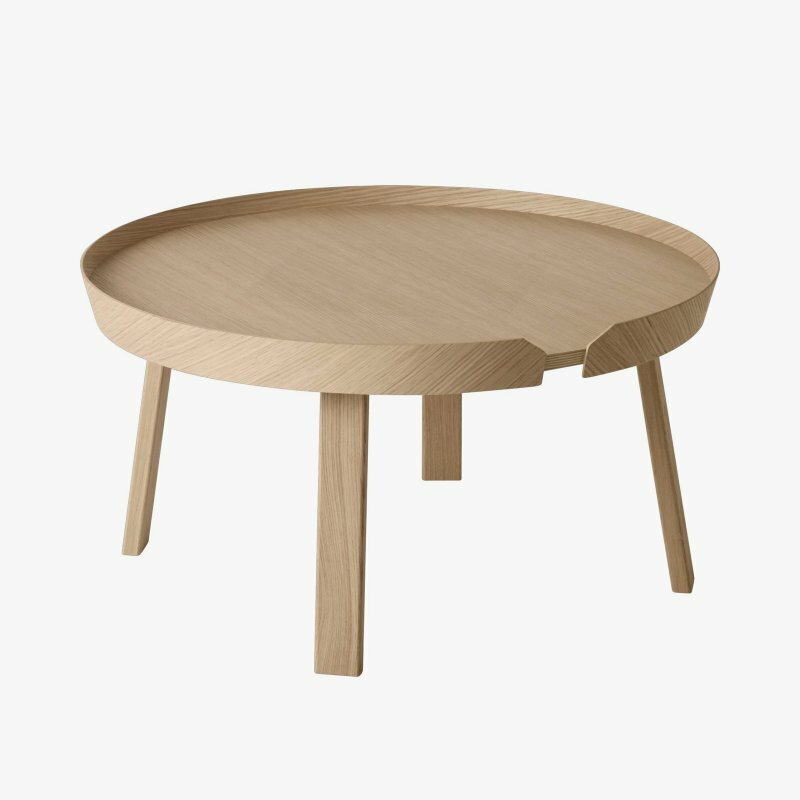 The table has emerged from continuous exploration and development of production techniques to create a fresh aesthetic. Another detail that stands out when you experience the table is the soft rolled edge. The fine edge is created from the soft chamfer being on the top and bottom. 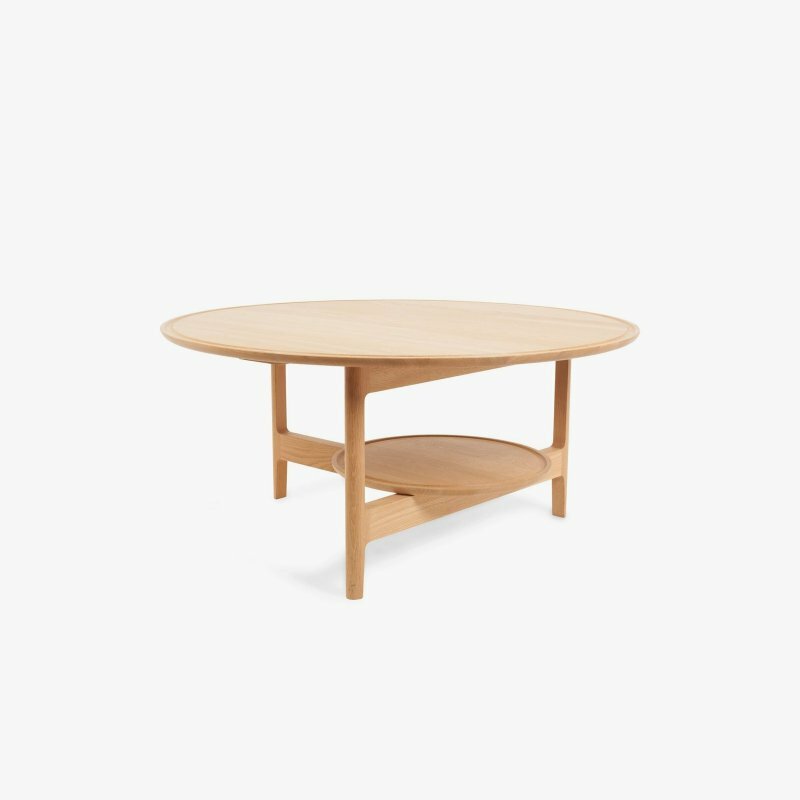 This also gives the tables a tactile feel and clearly shows that the tables are made from solid wood. Much of Wilkinson&apos;s design carry references to nature and the beautiful, unimaginable creations found in the scenery.